Along with the main payload, AKATSUKI, five secondary payloads will be launched by an H-IIA Launch Vehicle. 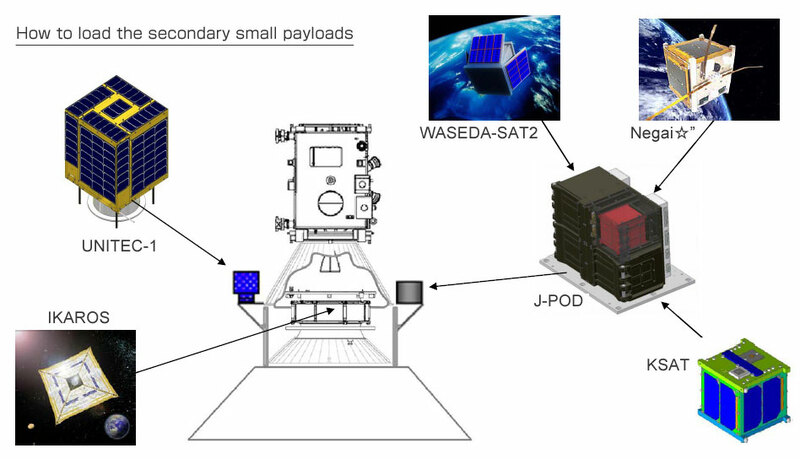 Launch opportunities are offered to secondary payloads that are manufactured by private companies and universities to contribute to enhancing education and fostering human resources. They are launched by utilizing the excessive launch capabilities of an H-IIA. 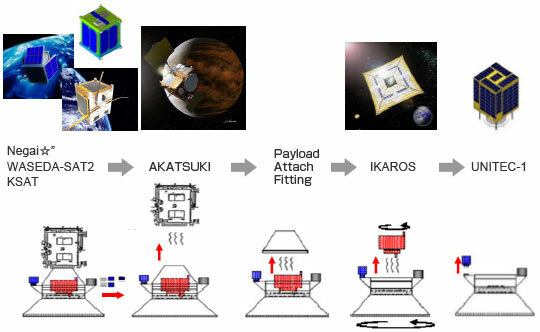 - Receiving, sending, and decoding technology experiments of faint radio waves from deep space in cooperation with amateur radio communities. 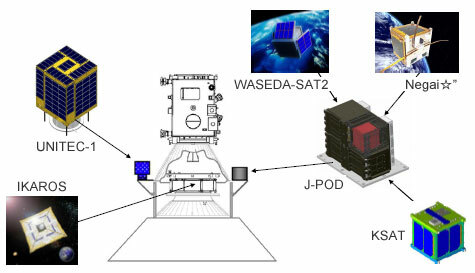 The three satellites, WASEDA-SAT2, KSAT, and Negai*″ will be loaded on the JAXA Picosatellite Deployer (J-POD) to be aboard the launch vehicle.